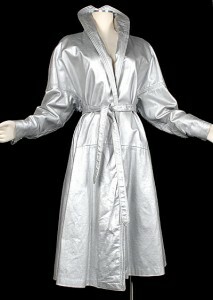 My favorite thing: Vintage 50’s silver leather trenchcoat. Jumpsuits – now on Etsy. I have always shared the Fug Girls’ feelings about jumpsuits. Until a photo session with this model, Lilia, who ROCKS. Check them out on Etsy! And check out some of the amazing jewelry and belts from Ponomo. I am so flattered to be featured in the Forefront Fashion blog. Nate and Laura did an amazing job, and their blog is just the thing we need in Portland, Maine. You are currently viewing the archives for September, 2010 at NorthStar Vintage.